Our goal is to impact the lives of young boys/girls in a positive way, from beginner to the elite, who have a passion for the game and desire to be better basketball players. We would like our participants to reach beyond their limits to achieve their maximum potential athletically, through personalized training and mentoring. It is our belief and experience from participation in competitive sports, that you develop life long skills such as hard work, motivation, perseverance, integrity, team work, and ethical conduct. Basketball has given us many great opportunities and lessons that we would like to share with upcoming generations. LET US TAKE YOU BEYOND YOUR LIMITS! 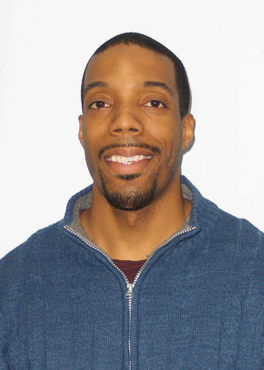 Kevin Melson was born and raised in Detroit, MI. where he was a standout athlete in high school. Upon graduation he attended Schoolcraft Junior college. In his one year at Schoolcraft, he led the nation in scoring with 28.7ppg, was a junior college All-American, and led Schoolcraft to its first ever national top 25 ranking. After being recruited by several colleges, Kevin chose Wright State University. He received many accolades including MCC (now Horizon League) Newcomer of the year, All MCC first team three times, Wright State athlete of the year, and also a win over eventual National champs Michigan St.
Kevin graduated with a B.A. in Sociology and soon after began a ten year professional basketball career in Portugal, Spain, Italy, Germany, Belgium, and a few other countries. His accomplishments include, playing in the ULEB League against some NBA stars like Ricky Rubio, Marc Gasol, Rudy Fernandez, and Chris Copeland, leading his team to the championship in the Dominican Republic and being named League MVP. Kevin also lead Belgium in scoring and received All League second team. Reggen Melson was born in Indianapolis, Indiana and attended Arsenal Technical High School. She participated and lettered in three sports: cross country, basketball, and track. She earned 12 Varsity letters while at Tech and was inducted into Tech’s Hall of Fame in 2010, making her the youngest woman to receive that honor. Reggen earned her B.A. in Social Work from Wright State University while on an athletic scholarship for basketball. While there she received several awards including All MCC (Horizon League) Conference Team, All Defensive Team, Two time MVP at Wright State and ALL Academic honors. 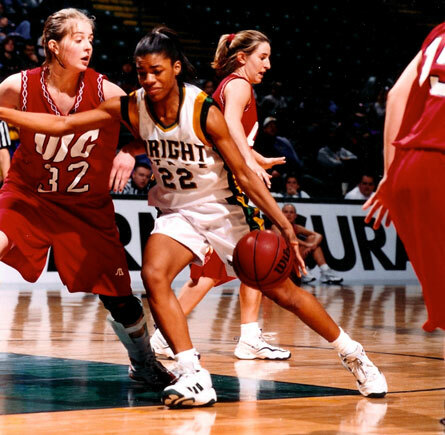 In 2006 Reggen was named on the Wright State University Wall of Fame. Transitioned from the floor to the coaches bench Reggen has coached on various levels for twelve plus seasons. She coached at Rose-Hulman Institute of Technology, Wright State University, Arsenal Technical High School, Ben Davis High School, Scecina Memorial High School, Crispus Attucks High School, where she led the team to its first Regional championship game, along with some international coaching. She currently serves as the Head Varsity Girls Basketball Coach at Cathedral High School. Subscribe to take your game Beyond Your Limits with these 21 Drills To Build A Solid Basketball Foundation. Your on your way to incredible improvement as a player! Now check your email to confirm your subscription.